The Middle East and GCC countries, namely the fast-growing cities, have been in an endless competition to be crowned the region’s commercial capital, Forbes said. The likes of Beirut and Bahrain used to stake their claim to the title, but this has recently changed due to a newer generation of modern cities, crowded with skyscrapers and gleaming towers of steel and glass, in addition to working expats and world-class airports, Forbes added. Dubai has been leading the MENA and GCC countries in this race during the past few years, endorsed by a new survey of global business hubs which showed that Dubai looks to be secure in its claim to be entitled as the most attractive business hub in the Middle East and the Gulf Region. Being the UAE’s commercial centre, Dubai has climbed to the 15th place overall in the latest Global Financial Centres Index, an annual ranking assembled by Z/Yen Partners and the China Development Institute, according to Forbes. “That puts Dubai four places higher than this time last year and means it has extended its lead over other rivals in the region while also leapfrogging the likes of Chicago, Los Angeles, Melbourne, and Vancouver,” Forbes added. Forbes said that it would be a little surprise for those who travelled in the region that Dubai is being ranked at the forefront of the Middle East business landscape. Dubai has become the most well-connected transport hub in the Gulf region, making it easier for its visitors to reach their destinations. This commercial centre in the MENA region includes clusters of high-rise towers and countless business zones which provide a comfortable and low-tax environment for regional and international companies. Dubai has succeeded in developing a business-friendly reputation that has proved resilient despite its strategy that led to severe financial problems on occasion, including the 2008/09 debt crisis, Forbes noted. The emirate ranked in the top ten overall on the index’s factors, namely infrastructure and financial sector development. The UAE capital Abu Dhabi has trailed behind Dubai as it slid one place to rank the 26th overall, Forbes said, noting that this would be a disappointment to the UAE authorities being given the amount of money and effort they have pumped into the Abu Dhabi Global Market, the UAE’s financial centre, during the recent years in an effort to develop it to become a credible rival to Dubai. Forbes believes that Abu Dhabi is currently being challenged by another nearby rival, the Qatari capital Doha. Advancing 13 places, Doha rose to the 34th place in this year’s rankings from the 47th in 2017. This progress has been made despite the political tension with a quartet of countries, namely Bahrain, Egypt, the UAE, and Saudi Arabia. 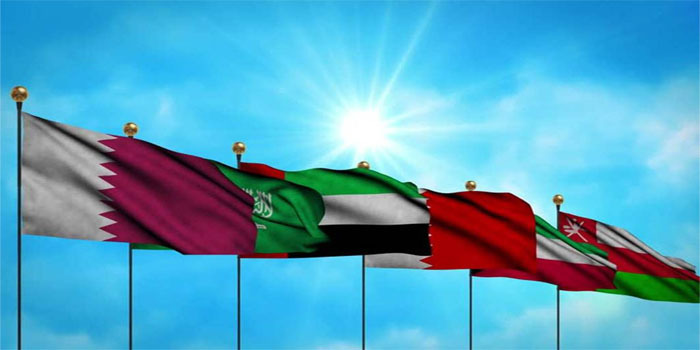 Forbes said that the dispute between the four Arab states and Qatar has been both diplomatically and economically. The Saudi capital Riyadh retreated one place to 69th in line with the Saudi government’s long-term struggle to convince companies to move into King Abdullah Financial District, the kingdom’s expensively-constructed financial centre on the edge of the city, Forbes said. “The Global Financial Centres Index is compiled using 137 metrics, covering issues such as the structure and stability of the business environment, the strength and depth of the local labour market, the quality of infrastructure and a city’s reputation. All that is augmented by assessments provided via a survey of close to 2,500 people,” according to Forbes. Casablanca, Morocco advanced four places to reach 28th, a positive sign for being among the ten cities named by survey respondents as likely to become more significant over the next two to three years. Kuwait City has remained outside the index of commercial centres as it lacked enough assessments, Forbes added.